Carpenters Mate supply a number of wood screws between the lengths of 101mm and 125mm for use in a range of timber-to-timber applications. We design and supply screws to be compatible with all UK timber sizes. Find your Local Distributor. Carpenters Mate provide quality screws designed to be more efficient than the traditional M10 coach bolt, whilst using fewer components. 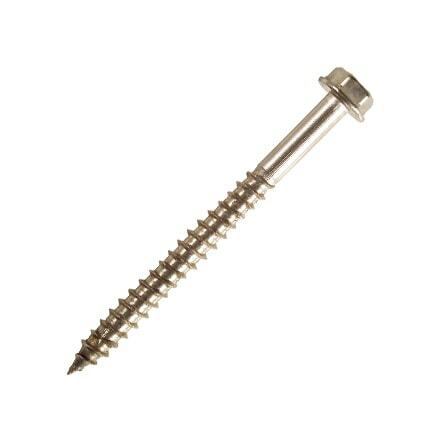 Compare our hex head screws to the M10 coach bolt here. Our Carpenters Mate range is tried, tested and respected by the trade and has been designed by carpenters, for carpenters. 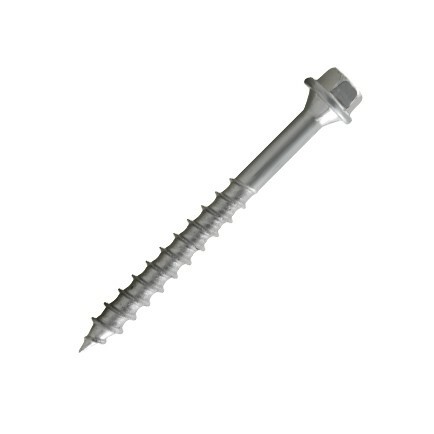 Our 101mm-125mm screws have been designed to be used in a range of timber-to-timber applications including decking projects, loft conversions, roofing projects or any other timber structural projects that require a strong timber-to-timber connection. Our Carpenters Mate range is available in both stainless steel, well suited to saltwater areas because of its high corrosion resistant properties, or Carbon steel, made from C1022, a high tensile and High hardenability carbon steel which is great for strength and ductility. Pro Hex Head Screws: our Pro Hex Head Screw has been manufactured from carbon steel. It’s our most popular screw and possesses great strength and ductility properties great for timber structure projects. Flat Head Screws: our Flat Head Screws feature a flat head which provides extra holding power and increased strength for stronger timber connections. 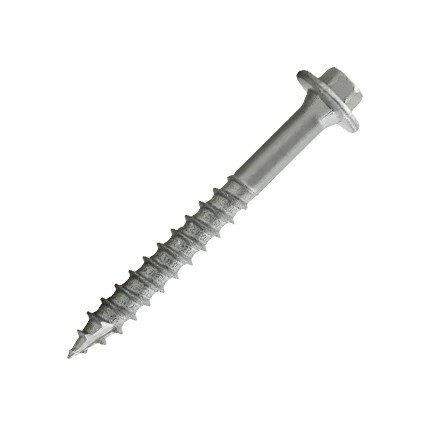 HD Hex Head Screws: our HD Hex Head Screws are appropriate for heavy duty projects as the extra-wide washer head provides greater strength and holding power of timber connections – great for decking, flooring and loft conversions. Stainless Steel No.12 Bugle Head: this screw is made from stainless steel which is ideal for structures near saltwater environments as stainless steel has increased corrosion resistant properties compared to carbon steel screws. 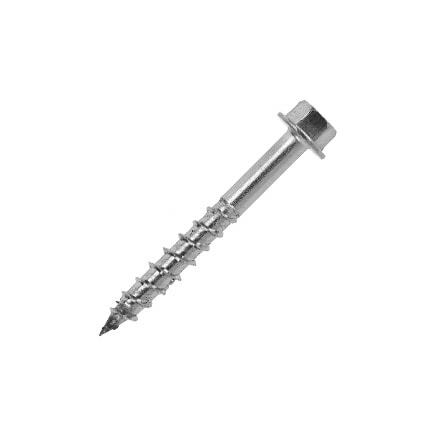 316 Stainless Steel Hex Head Screw 6.3mm: our 316 Stainless Steel Hex Head Screws are made from a higher % of titanium which has greater corrosion resistant properties perfect for new oak or coastal areas. Carpenters Mate is the UK’s original self-drilling wood screws supplier, established in 1998. Initially starting as a distributor for a US brand FastenMaster, we saw there was need for first-class corrosion-resistant screws and fasteners specifically for UK timber sizes. We take pride in the quality of our products and ensure each Carpenters Mate screw is designed and manufactured to meet British compliance standards, as well as the practical needs of our tradesmen. It’s our mission to evolve and improve the way in which carpenters complete structural timber projects, ensuring they perform tasks with greater efficiency, safety and in less time. We ensure that each screw works, every time. We have built a distribution network of more than 800 distributors around the UK. We’re always keen to expand our network, and ensure our products are available accessible wherever you’re located in the UK. Each box comes with a free drive tool so there is no need to worry about purchasing this separately or finding the appropriate drive tool yourself. You can explore our additional accessories via our online shop or at one of your local distributors. How Many Screws Will You Need? Find Out With Our CalcuMate App! The CalcuMate App was created to help tradesmen calculate how many of our screws are needed for each joint, to meet compliance standards. The CalcuMate app is an accurate multiple member screw spacing calculator, which is algorithmically tailored to calculate how many Carpenters Mate screws are needed. The app is simple to use; sign-up online, enter details about your timber joints and CalcuMate will do the rest for you. Find out more about the CalcuMate App on our website, or download the app via the App Store or Google Play Store.